Shoot colored balls so as to remove all balls from the field. Balls are removed if they are close to two. 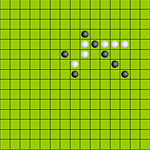 Use the arrows through the ranks of the balls, we get a combination of one-five in a row - with this number are retracted. You will need at each stage - to destroy all the bombs. To undermine the bomb stand up to the desired cell and then press space. 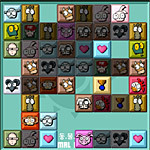 In this game you need to build a line of 4 balls of your color. The line can be horizontal, vertical or diagonal. You need assistance with items left behind to make sure that the majority of mice as quickly as possible came to cheese. Enter as many points. Points are recruited through the conquest of other people's cells and increases their size. 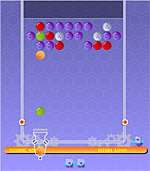 To win in this game you need a computer to put the past five balls in a row horizontally, vertically or diagonally. Sit, three guys with a beer on the couch, near the cat and dog. Someone pulls the foot, someone belch, animals myauchat and bark. Your task is to remember the combination, and repeat. Every time one more action. You need to put all the boxes in their places, which are highlighted by red squares. Find the differences in two seemingly identical pictures. After passing kadogo stage we give you the password. For a certain amount of time you need to find all the differences in two pictures. For one minute, you need to eat all the dragonflies. The more frogs to take part in their eating, the more points you get. You will need walking horse on a chessboard to visit all cells. The only difficulty is that some moves of the computer does for you. You need to remove all pieces from the field. To do this you need to remove pairs of pieces. You play for the malicious worm. Click on the apple that you want to eat. You need to select the point of landing, so that your mini hero hit on her. You need to arrange a specific figure on the field. Assemble the puzzle vrezultate kotorogou you should get an African mask. You need to sag the entire lawn. But you have two problems - the clouds that spoil the turf and petrol for the lawn - the amount of which is restricted. You need to hold an egg up to the end of the game board. You can tilt the board left and right keys on the keyboard.